Compatible with all of their T-2 Astro modular accessory system components, the Alpine Astronomical Baader Basic 1.25" / T-2 Eyepiece Holder is designed to provide a reliable and simple way to hold your eyepieces, diagonals, Barlows, or other accessories. It is made with tight tolerances to minimize sloppiness and ensure the eyepiece is centered and accurately optically aligned. 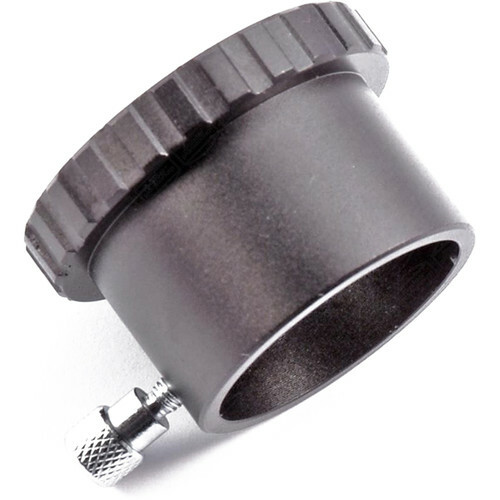 The holder has a single thumbscrew to secure the eyepiece or accessory firmly in place. Standard T-2 internal (female) threads are machined into the telescope side of the holder.